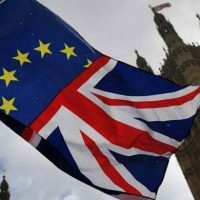 'Brexit be-jiggered': Portugal stays open for business with UK "no matter what"
As the UK girds itself for yet another ‘cliffhanger’ week over Brexit, Portugal has sent out the message every expat in a state of bewilderment will be hoping for: “whatever happens, you will be okay”. In the first of a series of initiatives designed to spell out the answers to (almost) every scenario, foreign affairs minister Augusto Santos Silva, backed by interior minister Eduardo Cabrita, has stressed Portugal “does not want barriers between the two countries”. Brits will remain “welcome as residents, tourists, investors and students”. Even in the event of a no-deal ‘crash-out’, Portugal will NOT be requiring visas from British holidaymakers, or indeed Brits who enter the country for any other reason. An awareness campaign is now underway, impressing on Britons living in Portugal who have not yet registered to do so before the Brexit deadline on March 29.